WITH his wide face, short snout and huge underbite, Kenny the rare white tiger makes a strange spectacle. Kenny's deformed face, which many people claimed was caused by Down syndrome, is the result of cruel inbreeding by money-hungry animal traffickers who could make as much as $53,000 per pet white tiger cub, reports The Sun. Kenny's sad story - which began when he was born on a tiger farm in Bentonville, Arkansas in 1998 - has come to light again because of a rise in the species being slaughtered for fur and their meat boiled into stock cubes in Europe. Alarmingly there are current ads online showing breeders flogging inbred tiger cubs for up to $3500, stating that they sell: "Tamed babies of one to 13 weeks" and offer "well-trained exotic pets for low prices." The species' white coat - which occurs in only one in 10,000 in the wild - is the result of breeding two Bengal tigers with a recessive pigment gene. Captive inbreeding results in high neonatal mortality rates and there is only a one in 30 chance that a cub will be healthy. The other 29 newborns typically are deformed, cross-eyed or have abnormal limbs - and breathing and chewing problems are common. Most die shortly after birth or are killed if they're considered the wrong colour. Females are treated as baby-making machines and their cubs are ripped away straight after birth. This tricks the females into going into heat earlier than they're ready to, so that they can mate again and produce more cubs. 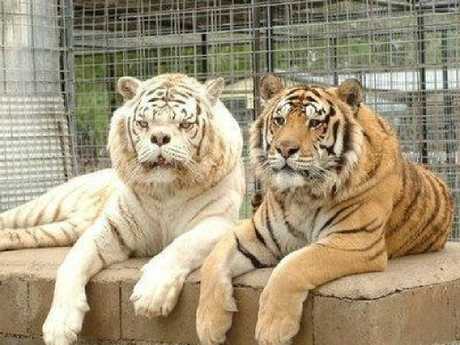 Because white tigers are so rare, brother and sisters are often mated together - like Kenny's parents. Apart from his brother Willie - who was severely cross-eyed - all Kenny's siblings were either stillborn or died at birth. After the tiger was rescued by a sanctuary in 2000, his owner admitted he hadn't killed the deformed cub at birth because his "son thought Kenny was too cute." Kenny's distinctive facial features meant he had no chance of being sold to people wanting a rare tiger as a pet. Kenny was rescued when his breeder contacted The Turpentine Creek Wildlife Refuge in Eureka Springs, Arkansas, asking them to take the two brothers from him. Staff describe how the "gruff man" demanded $13,800 for the brothers, claiming their deformities would boost ticket sales. 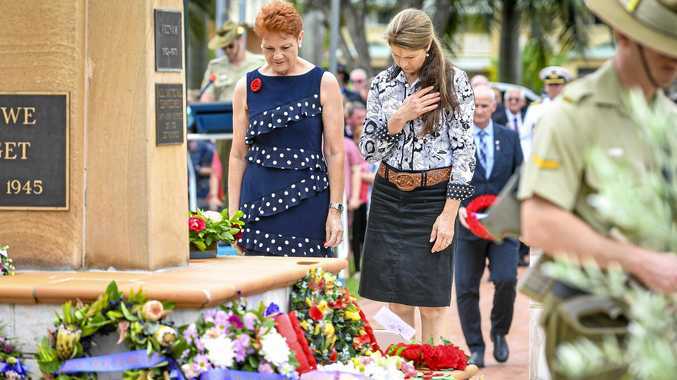 When the centre refused, the breeder eventually agreed to give them up. Staff were shocked at Kenny's deformities, especially his squashed face - which his owner tried to pass off as self-inflicted. On seeing Kenny for the first time, Turpentine keeper Emily McCormack said that the "gentleman we rescued him from said he would constantly run his face into the wall, but it was clear that wasn't the situation". The workers - who named the tiger after singer Kenny Rogers - found the cats living in a "filthy cage, filled with chicken remains and faeces which had not been cleaned in several weeks". They took in Kenny, Willie, mum Loretta and dad Conway - saving them all from a tragic death. Visitors who went to see Kenny at the refuge described him as a "happy, playful soul" despite his deformities. Intern Dominique Curran said that one of Kenny's favourite things to do was to play chase along the fence: "If I started to walk away I'd hear Kenny jump down and run after me, like 'Wait! We aren't done playing.'" But once his image was released by his rescuers, the world reacted with shock and sadness at the image of Kenny's deformed face. 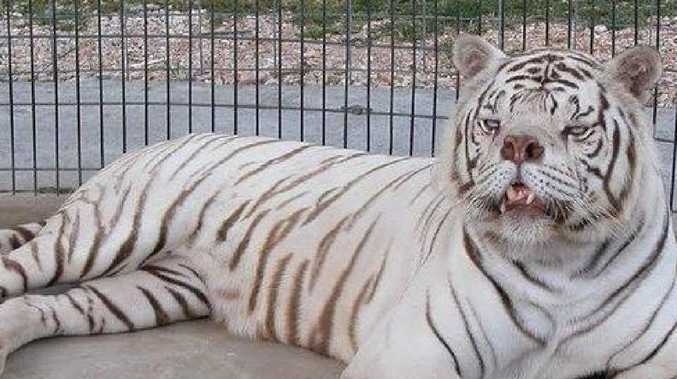 He was labelled "the world's ugliest tiger" with people saying he looked like a dog rather than a big cat. Commenting on images of Kenny on the refuge's Facebook page, one person, labelled tiger inbreeding as "one of the most ignorant, abusive acts at playing God that I've ever seen". And while many claimed he was the first tiger with Down's syndrome scientists say that, as the condition is caused by an extra copy of a specific chromosome, only animals closely related to humans, such as chimpanzees, can have it. The sanctuary said that inbreeding caused his unusual characteristics. Although tigers in the wild typically live to 25, Kenny died from an aggressive form of skin cancer eight years after his rescue, at the young age of 10. Tiger farms are hugely popular in Asia and are quickly turning into a global industry. Often disguising themselves as animal sanctuaries, they look to meet increasing demands for tiger fur, body parts and domesticated tigers to be kept as pets. Skins are turned into luxury rugs, tiger bones are used to make "self-healing" health tonics and wines and the meat is popular with high-flying businessmen, who believe that consuming the cats will improve their performance at work. 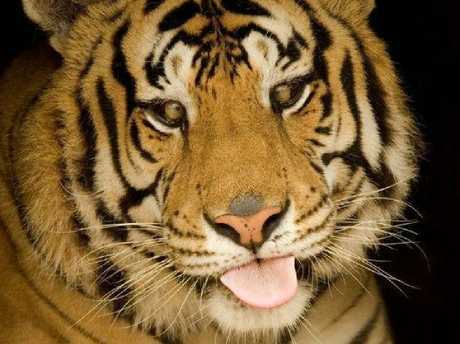 Shockingly, tigers are often shot through the eyes so that their fur is not damaged. 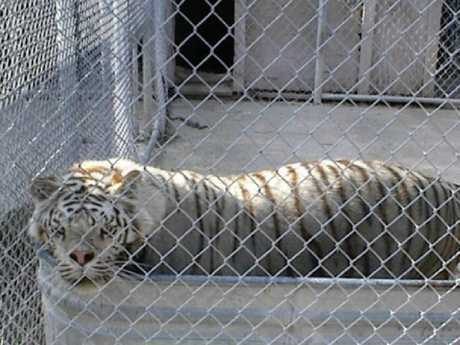 The growth of the illegal farms has driven down the going price of $53,000 for a white tiger cub to just under $7000. Elisa Allen, Director of PETA UK told Sun Online: "White tigers are not a species but simply an aberrant colour variation of Bengal tigers, and breeding them is done solely to draw paying crowds. 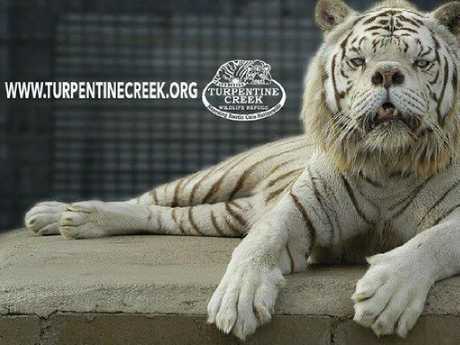 "All captive white tigers are inbred, which has led to serious congenital defects, including cataracts, clubfoot, and near-crippling hip dysplasia. "Tigers are on the very brink of extinction, yet one of the biggest threats they face is the false promise of captive-breeding programs. "None of the tigers born in captivity will ever be released, so these programs do nothing to help wild tiger populations. "If big-cat species are to survive, our focus must shift from breeding and displaying them in captivity to habitat preservation in the wild."